There have been various rumors going around regarding what’s up exactly with the next generation MazdaSpeed 3 hot hatch. Mazda never once said it wasn’t going to happen, but no precise time frame was given. Until now, that is. 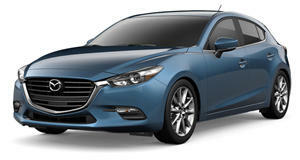 According to Motoring.au, the next generation MazdaSpeed3 will debut this September at the Frankfurt Motor Show. If all goes to plan, it’ll go on sale in mid-2016 as an early 2017 model. And like its outgoing predecessor, it’ll be sold in the US, too. Under its hood will be a turbocharged version of the 2.5-liter four-cylinder with about 300 hp. Also possible, but still not confirmed, is that all-wheel-drive might be standard. The report is also claiming that Mazda will reveal an all-new CX-9 crossover at Los Angeles in November. In addition, we could also see the revival of the CX-7 sometime in 2016. But we’re really hoping to see in the near future is a MazdaSpeed MX-5. Again, Mazda hasn’t ruled that out but still refuses to confirm that it’ll happen.